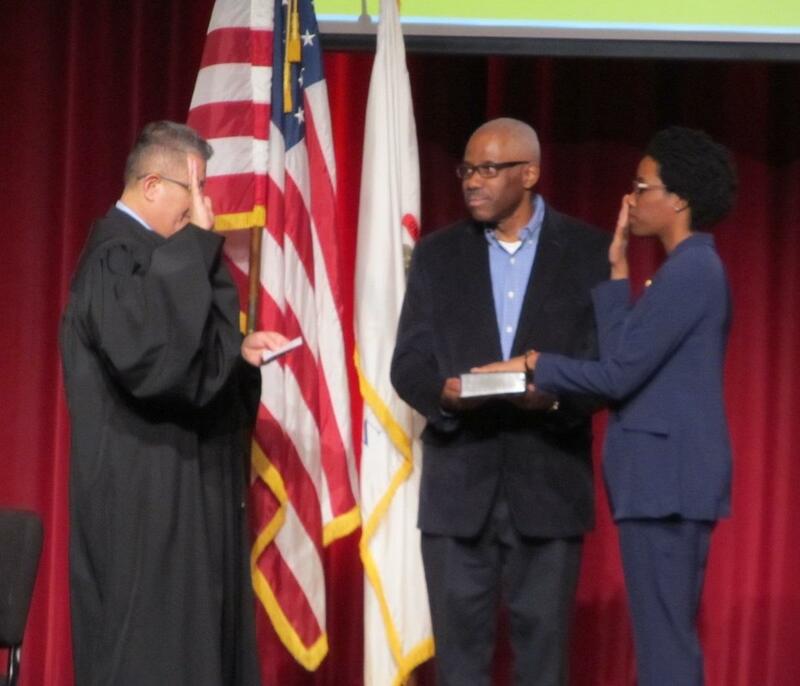 U.S. District Chief Judge Ruben Castillo administers the ceremonial oath of office to U.S. Rep. Lauren Underwood (IL-14) at Neuqua Valley High School. The representative of Illinois’ 14th Congressional District went back home this weekend to reaffirm and celebrate her new job. Democrat Lauren Underwood took the official oath of office with the rest of her colleagues Jan. 3 in Washington, D.C. 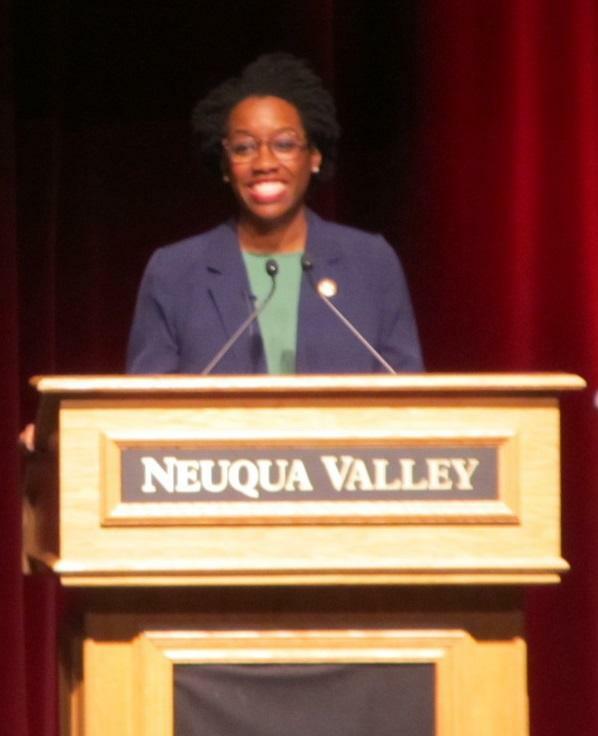 The ceremonial swearing-in at her old high school, Neuqua Valley High School in Naperville, was a chance for supporters in her district to bask in her triumph. Chief Judge of the U.S. District Court for Northern Illinois Ruben Castillo administered the oath while Underwood’s father held the Bible for her. Castillo was the first Latino to hold his position. He said Underwood, a millennial and the youngest African-American woman ever elected to Congress, is going to feel the pressure of being a trailblazer. He pointed to her coming to the high school as a way to inspire today’s students to get involved like she did at their age. Underwood acknowledged the significance of her position as an African-American woman in Congress. And she told the audience she will continue to fight for the reforms she ran on, like better access to healthcare. But she also pledged to work for all the people she represents, not just those who voted for her. Underwood upset incumbent Republican Randy Hultgren to take the seat in the heavily Republican district.